I love holidays (who doesn't!). And I love perfumes that remind me of times spent lounging with a coconut cocktail while I'm sat working at my desk. Hands down THE best smelling perfume I've ever worn. I've worn it almost every day for three years and am still in love with it. I get so many remarks of "you smell nice", even when it's not been freshly sprayed! I first bought it in Sephora Times Square at 1am. A sales assistant asked if he could help, and to my delight he found me my perfect perfume. I also tried the Lavanila Vanilla Summer fragrance which did the whole-i-feel-sick thing to me, after I'd purchased it of course. It's a subtle scent of vanilla and coconut. It smells great sprayed on your hair! The bonus is that it is also a 'healthy fragrance' which has no chemicals. Lush Vanillary is a STRONG scent! If you have a sensitive nose, spray sparingly. One or two squirts is plenty! It's a perfume that lingers, too. Unlike Lavanila, it's quite easy to find Lush products in the UK, and so I recommend having a sniff next time you see a Lush store. Cheap and cheerful, a simple coconut perfume that's good for every day wear. It's a nice, summer scent, and a good back up tropical perfume. And it's even easier to sniff in store than Lush! Shop Coconut Eau de Toilette here. I was lucky enough to holiday in the South Pacific seven times while I lived in New Zealand. During our holidays at Musket Cove, Malolo Lailai, in Fiji, we were given Pure Fiji toiletries in our bathrooms. They. Smell. Divine. I've since bought several of their heavenly scented products and whenever I use them they take me back to my holidays in Fiji. One of my favourites is the Starfruit Coconut Oil Rollerball - it's a handy size to keep in my handbag and it smells amazing. I do find that the scent needs to be reapplied regularly, though. See my Fiji travel diary here. 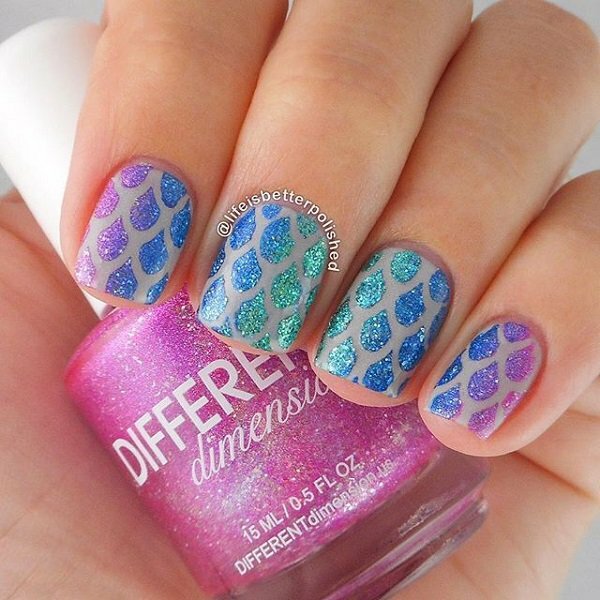 Brighten up your winter wardrobe with glitter nails! A sparkly nail instantly perks up the greyest of days! 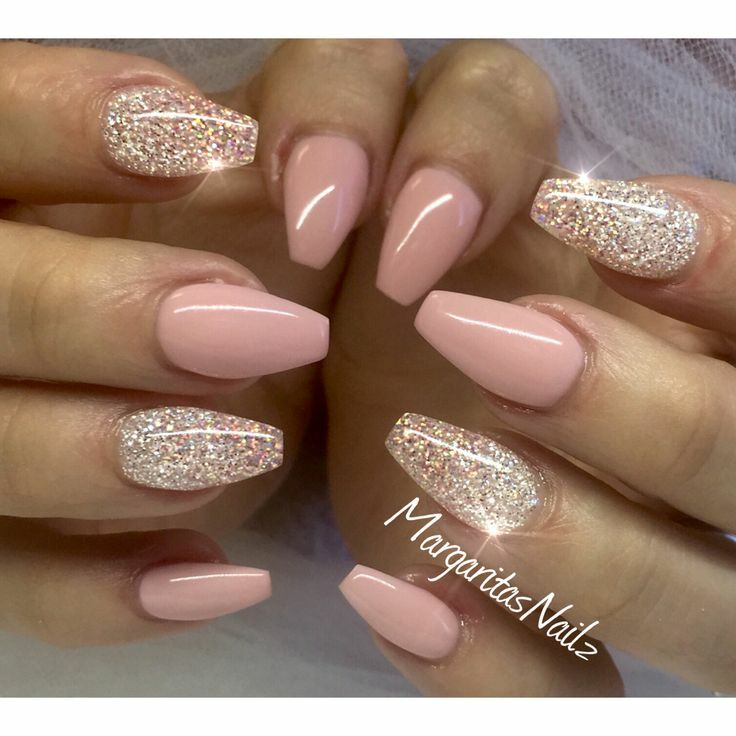 Here are some of our favourite simple glitter nail designs below, including Sadie's recent simple sparklers! 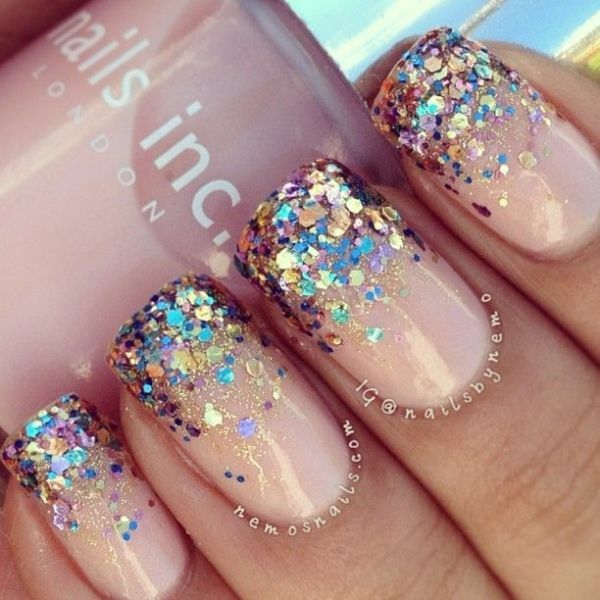 What's your favourite glitter trend? Follow Sadie on Instagram here. Check out these photos from the Industry Extracted hairdressing expo! Hair by Brad Ngata. Styling by Sopheak Seng - can you spot some current and upcoming Shh by Sadie pieces?